Add cubic inches to your Ford 302. New Eagle cast steel crank with 3.4" stroke will produce 347cu.in. with a 30 thou bored block. 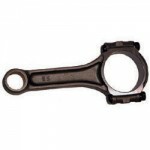 Cranks are inspected for dimension, size and stroke accuracy and have a journal finish of 6 R.A. or less. Use with 5.4" rods (EAGSIR5400CB or EAGCRS5400C3D) pistons KB246, and unique rod bearings FM******. Multi-fit slinger allows use in early and late engines. External balance - usually with 28oz style damper and flywheel. 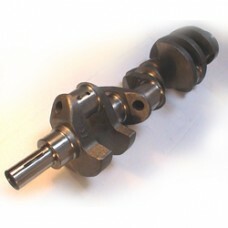 Also available in 4340 forging for high power output engines (EAG430234005400).